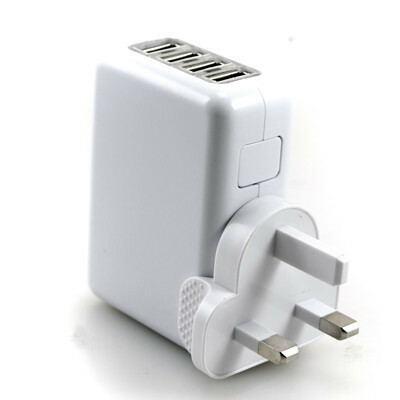 Stylishly designed in Apple white, our first charger looks like a miniature iToaster from above. 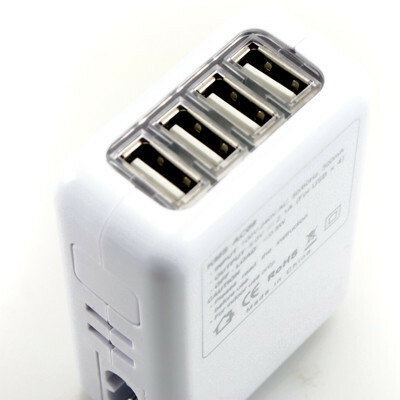 Included in the pack are four separate plug converters, so it can be powered in literally every country wall socket I can think of. This feature on its own now makes this my USB charger of choice. Before packing for trips abroad, I am always trying to avoid the inevitable decision of packing a ‘4-way’ into the suitcase. I can now reduce my converters, omit the iPad charger entirely and let the charger handle all my portable devices. How fast does it charge? Well I get fed up with waiting hours and finding out I’m still nowhere near 50%, especially on the iPad. Most USB ports on laptops barely kick out 1v so its nice to see the 5v @2.1amps (10w) in the design. That’s good for fast charging, a problem I suffer from personally (!) along with the iPad in particular. Remember, most hotel rooms switch off all power when the key card is pulled, so its great that my devices will all be on 100% when I wake. Any drawbacks? Plug it into the wall and the ports glow funky blue. Great idea? Well its stylish, but I wish it had an off-switch. It’s so intense that the whole room tends to glow from the corner. Throwing a t-shirt over it is the great way to start a fire, so plug it into the bathroom and shutting the door. Overall a great device I now use in the office and on the move. 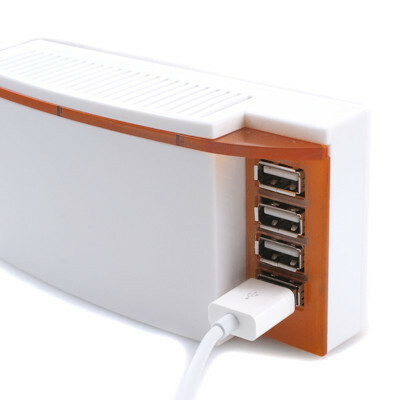 If you are after a home hub, with maximum output across all for USB ports then look no further than its big brother. 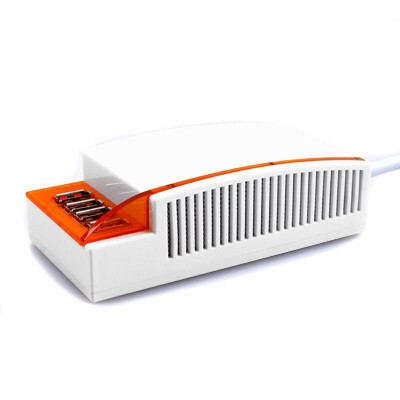 Not only does this charger provide a whopping 20-30w, it also has an inbuilt surge protector, which is also very useful when on the move. I can’t think of anything worse than losing all my mobile devices to a power surge from third world electricity supplies. This device in stylish orange and white, is devoid of a similar neon glow thankfully. Although it doesn’t have the interchangeable plugs, it comes with an asian power lead that is always going to be hard to convert. I suggest chopping the plug for a UK /US connector. Is it any faster than standard USB? Too right. Although I don’t have stats for you right now, I can say it's superb, very fast at charging the sluggish iPad in particular. It charges my iPhone 5 in lightning time. Overall it's excellent - well built, with just the plug socket drawback. Considerably more expensive than the first option, but well built powerful and one I would confine to the office than a life on the road. Dont be put off the dollars, the postage was super fast, taking just four days!